There are also pictures showing the history of how the Mogao Grottoes and their surrounding environment have been protected. 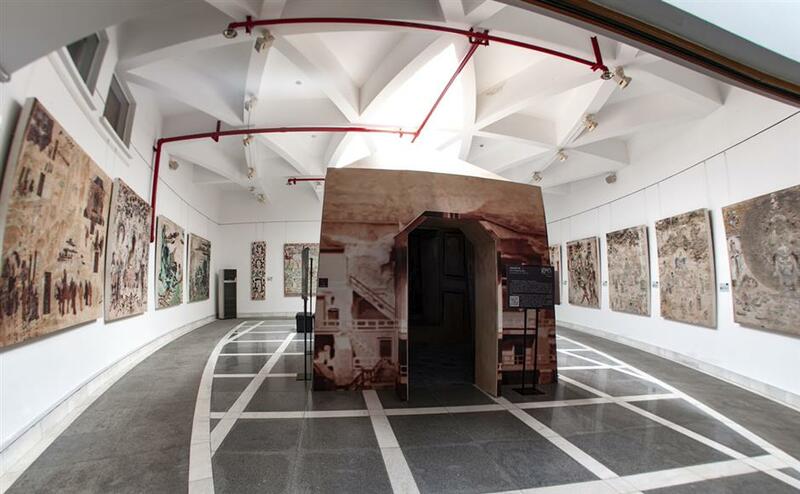 Fine replicas of Dunhuang's famous frescoes are now on display at Shanghai Jiao Tong University. The exhibition, organized by Shanghai Education Commission and some other parties, showcases highly detailed, life-size replicas of more than 30 frescoes, one grotto, 12 unearthed Buddha sutras and two painted sculptures reproduced by the Dunhuang Academy using modern digital technology. Visitors can wear VR devices to tour 30 digital Mogao Grottoes and watch a video to learn more about the arts of Dunhuang. The exhibition is free to the public and will move to other universities after the exhibition at Jiao Tong comes to a close on October 7. Meanwhile, 10 volunteers have served as the first batch of voluntary guides at Mogao Grottoes in Dunhuang for six weeks, between May and June, under the “Cultural Custodian Program,” which is jointly organized by the Dunhuang Academy, Dunhuang Grottoes Conservation Research Foundation and Shanghai Jiao Tong University Culture Development Foundation. The program has launched its selection process for the second batch of "cultural custodians" on Wednesday. 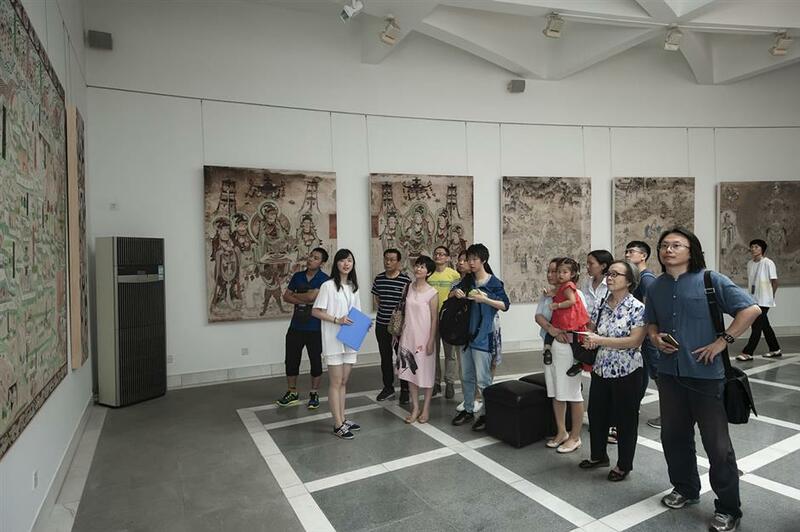 Fine replicas of Dunhuang frescoes are on display at Shanghai Jiao Tong University.